Our study in the Gospel of Luke will end soon. Of the 4 Gospels, Luke is the longest – which perhaps explains why today’s message is #43. And yet we’ve covered broad themes taking on much longer passages than we normally study. I’ve deliberately done this for I haven’t wanted you to miss Luke’s overall emphasis. Once we finish Luke, we will begin a mini-series entitled, “The House that Jesus Built.” Jesus said he would build his church. You and I are part of that building program here at HBC. If we’re to be involved in this plan, then we must obey his directives found throughout the NT. Our focus during our weeks of study will be on the local church – its ministries, members, ministers and message. Due to the subject matter, most messages won’t be necessarily expositional but more topical, yet each one will be saturated with Scripture. Our task here is to go and make disciples. Our mission statement on the front of the bulletin says it well, to produce disciples of Christ for God’s glory. I believe being a part of a Bible-teaching church is essential to our Christian growth and stability. HBC isn’t a country-club or a social organization, we’re the body of Christ, the family of God, a holy temple. What a privilege to be a part of HBC. Please pray as the series comes together. My desire is not only teach but to encourage as God seeks to use you and me in the house that Jesus is building. Easter is one of the holiest of celebrations for Christians. It commemorates the resurrection of Jesus. It is also a time where unbelievers are more open to come to church. We want to take advantage of that cultural tendency. Please use the enclosed card to invite someone to breakfast and to our Easter service. It’s really quite simple. A neighbor, a friend, a co-worker, a family member. Remember, we’re not trying to pull people from another Bible-teaching church. Our focus is on believers who don’t attend church – or those who haven’t yet professed faith in Christ. When the Crystal Palace opened its exhibit in London in 1851, over 6 million people flocked to see the great marvels of the new industrial age. One of those marvels at that period in time was steam. There were plenty of steam inventions for the public to see: steam plows, looms, organs, etc. But the first-place prize winner was a steam invention with 7000 moving parts. When the machine was turned on, its pulleys, wheels, gears, bells and whistles made a lot of noise. Ironically, the machine didn’t do anything else. It just made noise. It’s easy to confuse activity with accomplishment. We can be tricked into thinking something is important because it makes a lot of noise. Churches are filled with such – lots of activity but in the end, the question needing to be asked is what is being accomplished? Yesterday over 30 folks gathered for a discussion and brain-storming session about the future of HBC. We don’t want to be a machine that doesn’t serve any purpose. We want to be a church that encourages people to love God and to love others. Everything we do must point back to that. “Of Issachar, men who had understanding of the times, to know what Israel ought to do, 200 chiefs, and all their kinsmen under their command.” 1 Chron 12:32. What an obscure verse, and yet how insightful. In its historical context, times were difficult. Saul’s dynasty was crumbing. King David’s was beginning. Israel was in a civil war as well as an international one. In the confusion there were some noble men who made a difference. They were descendants of Issachar. Out of millions they were only a few, but they were able discern the day, and most importantly acted wisely. This Saturday is an important meeting for HBC. From 9-11 am we’re going to discuss how we’re allocating our funds, facilities and folks (how’s that for an alliteration?) in our overall ministry here. We’re finishing up with our current strategic plan – a few yet-to-be completed initiatives need to be addressed. But what is the future for HBC? What goals do you envision for our church to take? How can such dreams be implemented with the resources available to us? Please sign up on the bulletin board. We want to have ample space for those attending. Muffins, juice and coffee will be available to get the thinking process going. I hope you will be able to join us. Men and women of Issachar are needed today. “Let the children come to me, and do not hinder them, for to such belongs the kingdom of God.” Luke 18:16. Eighteen people met last Sunday after church for an hour and a half discussing Children’s Ministry. Most were teachers and workers – some were parents. It was a productive meeting – helpful, honest and prayerful. 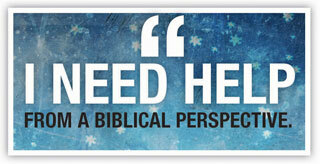 Our current need at this moment is to have a Children’s Ministry Coordinator. There was good discussion and feedback about curriculum – both in Sunday School and in the children’s church time. It is our desire to partner with parents in helping kids know God and grow up in him. Children’s Ministry is like any other ministry in the church – it exists to honor God through worship, teaching, friendships and in sharing Christ. “A great door for effective work has opened to me,” wrote the Apostle Paul to the Corinthians (16:9). A door of effective ministry is open for HBC today. On Saturday, March 30 from 9-11 am, the elders are holding a church meeting designed for you to participate. To help with set-up, a sign up list is posted on the bulletin board for those planning on attending. Now one of the strengths of having a family chat is giving everyone a chance to be heard. One of the weaknesses is people leave feeling no action was taken. But this shouldn’t trouble us. Lord willing, we trust some measures will be taken – especially regarding current initiatives in our strategic plan. The elders will need however to access the ideas presented on March 30 and to prioritize what was heard with a more specific focus and plan. Another meeting will be held. Instead of discussing the sermon in small groups it was suggested we discuss questions regarding this up-coming meeting – to get feed-back and insight prior. The elders will meet this coming Wednesday, so if facilitators would keep a simple record of the discussion and report back to us before our meeting this would be helpful. I am excited about the future of HBC. I believe it is as bright as the promises of God. “To Him be glory in the church and in Christ Jesus throughout all generations, for ever and ever! Did you hear about the man suing his parents for giving him birth? It was on the news. I’m not making this up! He is part of a movement called anti-natalism. They teach bringing children into this world invites suffering – so they advocate no procreation. I’m not sure if they’ve thought that through. The man says he was not consulted about being born, so he’s suing. We might laugh – or groan over such nonsense, but this movement did get something right. Humanity involves suffering. Now from a worldly perspective that’s bleak. But from a biblical perspective it is redemptive. God is involved in our suffering – every bit of it. What is he doing? We might not know the answers, but we are encouraged to find him in our pain. Eric Perkins and I discussed some time ago about co-teaching a class on suffering. We’re entitling it, “Count It All Joy.” Now folks, I know we are bucking the national trend by having Sunday School and Bible classes prior to our service. But don’t you think coming one hour before the service to hear God’s Word, to sit under its teaching, to engage with others is worth it? I do. And there isn’t a topic more applicable to us. We all experience heartache. How does God want us to handle such? What does his Word teach us about suffering? The class is for all adults and will meet in the auditorium at 9:30. We look forward to seeing you there next Sunday. It doesn’t mean everything we encounter in life will be easy. It doesn’t mean pain or suffering won’t be involved. God never promises us that. But he does guarantee that whatever we are experiencing right now, will be used by him in his ultimate plan for our eternal good – to make us more like Christ. Romans 8:29 – he’s transforming us into the image of Christ. God is wanting to reproduce in us the character of Christ – and he uses hardship and sufferings to do just that. Warren Wierbse, another pastor and author has written, “God keeps his hand on the clock and the thermostat whenever we encounter the furnaces of life.” Let us trust him. Rest in him dear friends and in the wonderful promises he makes to us. Susan and I are worshiping today at Warren Woods Baptist Church in Warren where our son, David is the new worship pastor. He is enjoying the ministry – busy and very involved. Once again, we can’t thank you enough for your prayers and support. In my absence, Eric Perkins is preaching. I know the pulpit is in capable hands. Listen well as he serves to you the Bread of Life. We will resume our series in Luke’s Gospel next Sunday, dv. I took some necessary vacation time this past week. Sue and I did some chores around the house that have been begging to be finished and then we enjoyed several days at Gull Lake Christian Conference Center – reading, relaxing, exercising, talking. Friday and yesterday we spoke at Grace Life Baptist Church over near Port Huron for a marriage conference. And since we were over in that area we decided to take a vacation Sunday to see David in action. Someone told Vance Havner, the old mid-20th century southern evangelist, “Satan never takes a vacation.” Havner, known for his wit responded, “I’m not modeling myself after Satan. I’m following the Lord Jesus who said to his disciples to come apart and rest awhile.” We all need to take some time off. I always encourage others to utilize their vacation time. We need those days to unwind and unplug to become refreshed so we’re energized. Thanks for giving me these days to do just that – and thanks too for your prayers.